Your smile is an important tool as it makes the first impression when people meet you. People who smile with confidence are often perceived as happier, more successful, and more approachable. If you’re not satisfied with the appearance of your smile, you may be giving the wrong impression and this can affect your personal and professional relationships. 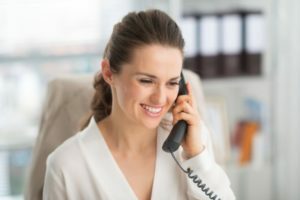 Porcelain veneers in Bay Shore can be an excellent solution for repairing and enhancing your smile, and here’s what you should know about them. Veneers are capable of changing the size, shape, and shade of your teeth. This allows you and your dentist to completely redesign your smile. In fact, many of the smiles we admire in Hollywood have been enhanced with veneers. Because of direct bonding, veneers add strength to your teeth. They’re also easy to care for as you can brush and floss your teeth normally after getting your veneers. With consistent home care and regular dental checkups, your veneers can potentially last for 10-15 years. Porcelain veneers can typically be completed within two appointments and a couple of weeks. Your dentist will prepare your teeth for veneers at your first appointment, and you will leave wearing temporary veneers. This will give you time to get used to your new smile and advise your dentist of any adjustments you’d like made to your permanent restorations. After your veneers are done being crafted at a local dental laboratory, you’ll return to your dentist to have them permanently placed. Now you can enjoy your dazzling new smile! If you are ready to learn more about how porcelain veneers can enhance your smile, contact your dentist today to schedule a consultation. Dr. Gary Rosenfeld has been taking care of patients in Bay Shore for over 30 years. Because he’s gathered a highly skilled team of dentists, patients can enjoy the benefits of comprehensive, high quality dentistry available seven days a week! If you would like to contact Dr. Rosenfeld, he can be reached through our website or by calling our office at 631-581-8600.